One of the newest announcements in the world of NASCAR was revealed on December 26, 2016. 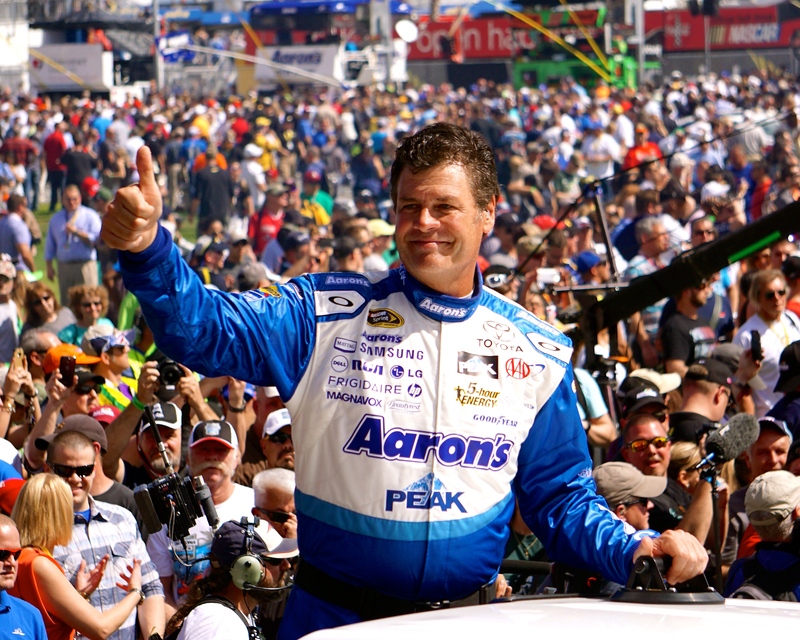 Michael Waltrip is going to be back on the track for the Daytona 500. Rather than being trackside as an expert analyst, Michael Waltrip will be back behind the wheel in the thick of the race. He’ll be sponsored by Aarons Inc., and he'll be behind the wheel of a Toyota Camry. He has yet to reveal which team he will be driving for, and his number is still a mystery. Michael Waltrip is the former owner of Michael Waltrip Racing that closed late in 2015. He raced for Premium Motorsports and BK Racing during the 2016 season. He started in 36th place and finished at 30th for BK Racing. BK Racing is reorganizing for the 2017 season. They’ve released David Ragan and Matt DiBenedetto. Waltrip will be driving during Daytona qualifying. He is no stranger to the Daytona International Speedway. If he is successful during qualifying, this will be his 30th start at the Great American Race. Michael Waltrip and Bobby Labonte are among the elder statesmen gunning for the Cup during the upcoming 2017 season. These drivers still have many miles left under them, and the rookie drivers have lots to learn from them by racing them in action. The Monster Energy NASCAR Cup series will definitely be fun to watch as the field lines up for qualifying during Daytona Speedweeks. On Jan. 28, 2016, Darrell Waltrip, Michael’s older brother and NASCAR legend, tweeted “watch out Daytona, he’s pretty good at that track!” DW’s words of wisdom still apply for the 2017 season. Out of 49 races at Daytona International Speedway, Michael has won three times and finished in the top 5 six times. He walked away as the Daytona 500 Champion in 2001 and 2003. The 2001 win was forever overshadowed by the tragic accident that took the life of his car owner and friend, Dale Earnhardt, Sr. Michael has written a book, In the Blink of an Eye: Dale, Daytona, and that Changed Everything, about the day that changed his life and NASCAR. There will be a new chapter of NASCAR history written on February 26, 2017 during the 59th running of the Great American Race.